"I can't change the way I look. But maybe people can change the way they see." Countless fans have asked R. J. Palacio to write a book for younger readers. With We’re All Wonders, she makes her picture-book debut as both author and artist, with a spare, powerful text and striking, richly imagined illustrations. 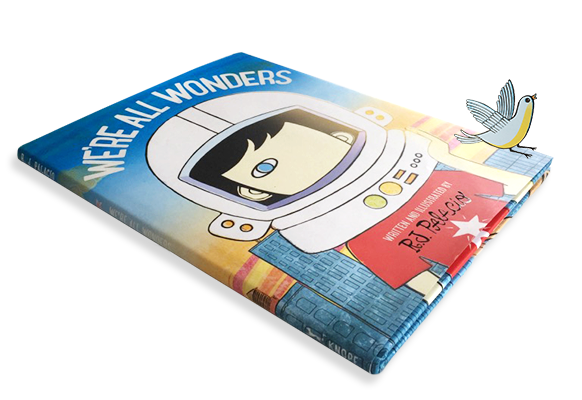 Palacio shows young readers what it’s like to live in Auggie’s world—a world in which he feels like any other kid, but he’s not always seen that way.